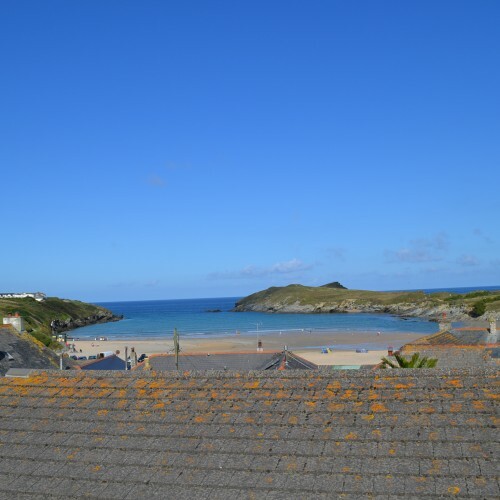 Draft policies have been informed by the evidence we have gathered to date – this includes planning documents such as the Cornwall Local Plan (which Newquay NP must be ‘in conformity’ with) and other key documentation; as well as the views and feedback we have received from you. 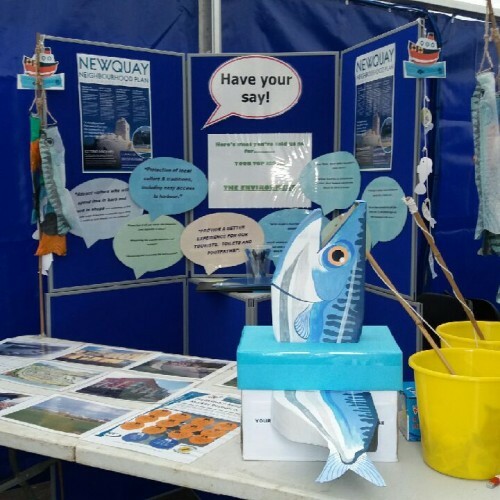 Consultation are going to be held throughout June – July and are to get your views and thoughts on the policies we have formed so far – so we know whether we have interpreted your vision and objectives for Newquay correctly; and what needs to be looked at further, or changed. They will be held at several locations around Newquay Parish in order to reach as many of you as possible. 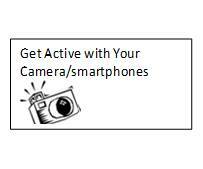 Come and have your say in Newquay’s NDP ..
Get Active with your Camera/Smartphone! One of the proposed policies will be that development should not impact on the enjoyment of key views of distinct buildings, heritage assets, landscape, coast and open countryside – and we will support the Plan with a portfolio of photographs to identify just what those views and vistas are. 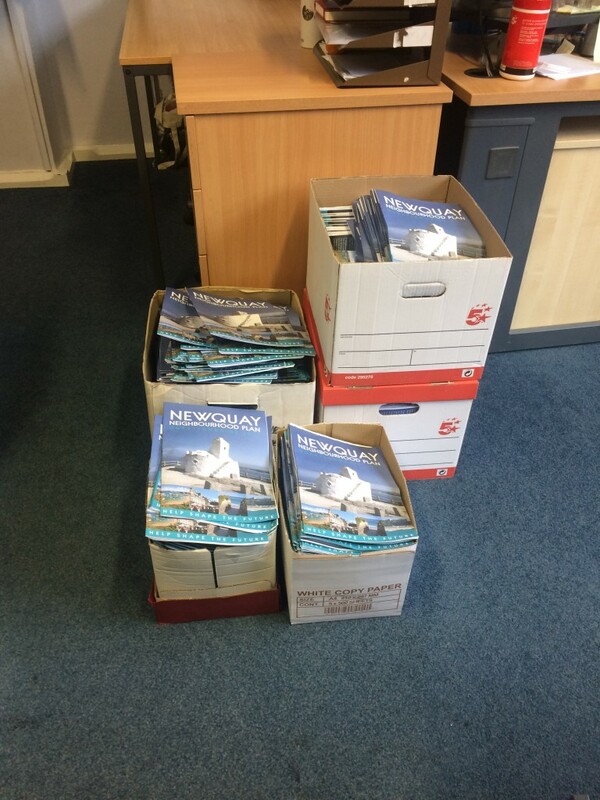 No-one knows better than you of what we need to protect – and we are asking you to help the Neighbourhood Plan by contributing photographs of the views and beauty spots that mean something to you – please send to CPD@cornwallrcc.org.uk or hard copies at the TIC in the Marcus Hill Municipal buildings. All we need to know is; where you took the photo (standing from, looking towards etc), the date it was taken and why it is important to you. If you can get them to us by 24th May, we hope to display them at our upcoming consultation events, starting on the 3rd of June at Trenance Cottages. 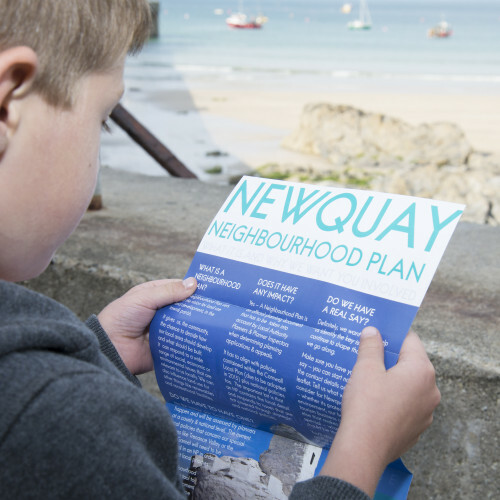 We are approaching the final lap on our Newquay Neighbourhood Plan.. Despite the crop of elections, we are still on target for submission of our plan in July. But we still need your help! We are calling for photos of your favourite views and vistas that the NNP policies need to specifically protect from unsuitable development – click here to find out more. Watch this space for a series of consultation events throughout June and July that will be held across the Town and Parish. Please drop by where you will be able to see the draft policies and backup evidence, and most importantly tell us what you think! Click here to find out whats happening. 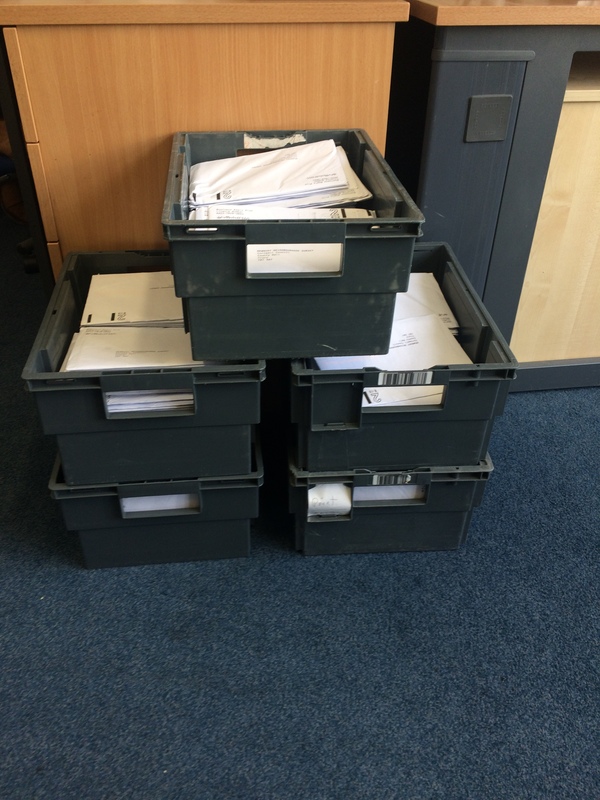 The responses from the returned surveys are now all entered – this took a considerable number of hours because of the volume of paper surveys sent back and because we extended the deadline to allow additional surveys received to be included. This task was completed in December. We have now put together a summary of the responses and will be posting the comments as soon as these have been formatted into a document. The results are available on our surveys page here. Once again, many thanks for telling us your views and putting forward your ideas – this is crucial as it is your collective views that will drive the policies within the Neighbourhood Plan. A massive 1,859 surveys have been returned, so thank you to everyone who has answered it; both online and through the post, we are amazed by the response we have had! The next stage will involve analysing the results to further define the policy areas for your community. There’s still time to fill in the NP survey! Thank you so much for everyone who has completed the survey, we have had a huge number of responses which is brilliant news and will mean the policies created will be relevant to what you have told us! There’s still time to fill yours in; through the paper copy or the following link click here. Not long to go! The latest survey is ready for you! 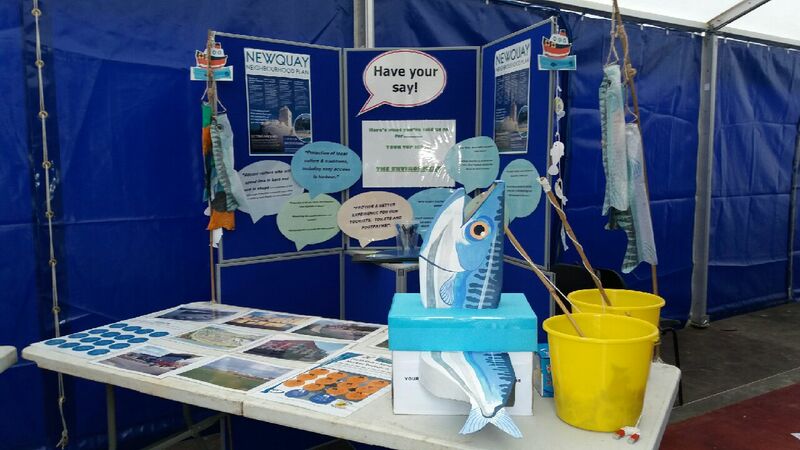 Following on from the Fish Festival, the in-depth surveys are going to start getting delivered to every household in Newquay. It would be greatly appreciated if you could take the time to fill this out and get it back to us, as this will be crucial to any further development of the Neighbourhood plan policies. 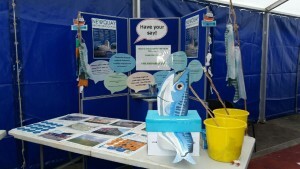 Thank you to all those who attended the Fish Festival on the 16th – 18th September 2016. It was a lovely weekend and great to hear all your views on the progress of the Neighbourhood plan. Hopefully you got chance to fill in the in-depth survey, if not please use the following link to access it online click here. Please get involved, we need your help. Work on the Plan is progressing well – please see the Annual Report. 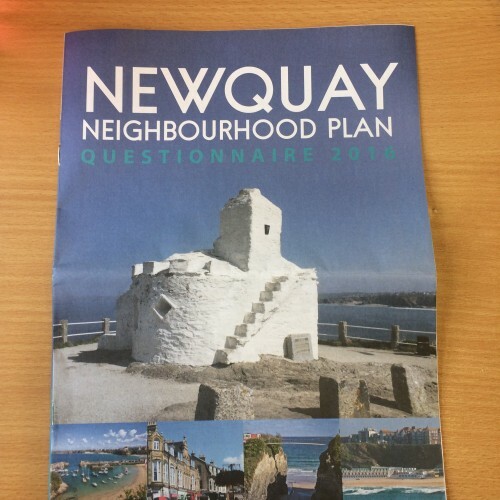 The Newquay Neighbourhood Plan Team is calling for volunteers from Newquay’s business world. Following successful workshops on the Environment and on Design where local volunteers provided real input for the plan, we have scheduled a workshop on 20th April (evening) on ‘Business and the Local Economy’ to identify where local planning policies could assist our local economy. We already have representation on the NNP Steering Group from the Chamber of Commerce, BiD, Newquay Regeneration Forum and Watergate Bay but would welcome input from individual businesses and enterprises both in the Town and across the parish from the Gannel to Watergate and Tregurrian. Can’t make that date? Get in touch anyway and we’ll make sure your views are included. This is your chance to make a difference to the future of our Town. 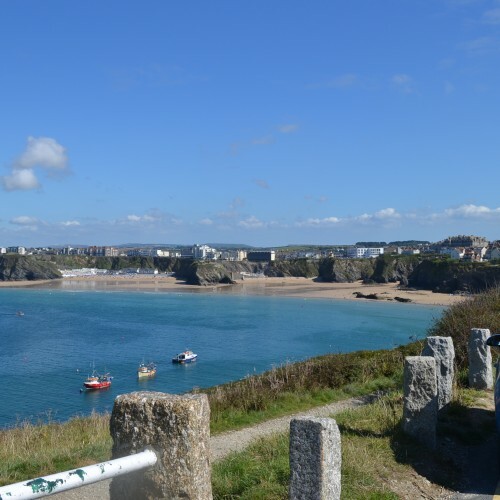 The Town Council are working on delivering a Newquay Neighbourhood Plan (the NNP) for Newquay, which will be the legal planning policies that govern land use in the parish. Currently residents have little ability to influence planning decisions yet this is an issue that people feel strongly about and is emotive. This a unique opportunity for communities to shape what happens in their area, and plan for their future – their views and participation will have an effect shaping the economic, social and environmental future of their town. The aspiration of this project is to harness local volunteer power and really get out there and engage and consult with as many of our residents as possible. The results of this will inform our policies meaning the NNP is a truly community developed plan. We are progressing well, we are on schedule to develop and submit our Plan by the end of the Year to be voted upon in a formal Referendum in the Spring of 2017. 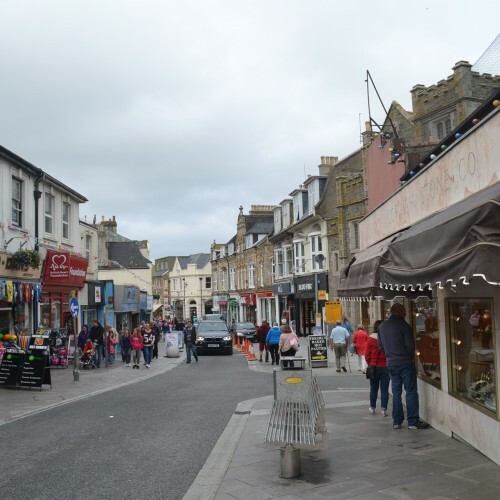 We have a dedicated and talented team of local volunteers – Newquay is blessed with residents whose qualifications and depth of professionalism are really adding to the plan. And the Young People in our local Schools, the ones who will have to live longest with the decisions we make now, have already hugely contributed and are already planning to do more. We have been successful in obtaining grants, a total of £8,000 this year in addition to £7,000 last year; that allows us to buy-in the extra independent and unbiased support to provide the necessary expertise and training to support our volunteers. And to ensure the policies that we include can face up to the strong legal challenge that we will inevitably face from some developers who will feel these limit what they want to do. Most of all we need to progress an effective communications and consultation strategy. Because the biggest challenge we face is involving every resident and business in our parish that stretches from the River Gannel to Watergate Bay and Tregurrian. In a subject which on the face of it can seem dry and uninvolving – that is until a block of flats (or even just a single house) is proposed for a favourite beauty spot; or a purple building appears sticking out like a sore thumb for miles around. Or even a brand new good looking development appears whose cladding, metal work etc fade away and rust in a few years of our seaside weather. Or fixings that cannot stand up to a breath of wind. That involvement is essential – we need to be sure that what we say is what the community wants – and most important to provide the evidence that what we do is genuinely community supported. It is crucial that the community are continually informed and engaged in the NNP process and that people that work and live in the area (irrespective of their circumstances) all have the opportunity to be involved and be part of this process. This is not about us telling them what we want, it is the community telling us and having a mechanism for making it a reality. But we have to accept that we have not yet achieved that level of community support we would like. And not yet convinced that this time is different; this time there is a real opportunity for every individual to have their voice heard and to make a difference. We have hundreds of residents who have responded to the work on the plan so far – but for a town of this size, we need thousands. So expect to hear more from us, more stories in the press, more direct mail (with the opportunity for prepaid response), more events over the coming months. And finally a plea, keep an eye out for the questionnaires that are being issued or for the workshops we schedule on our main policy themes to which anyone interested is invited. 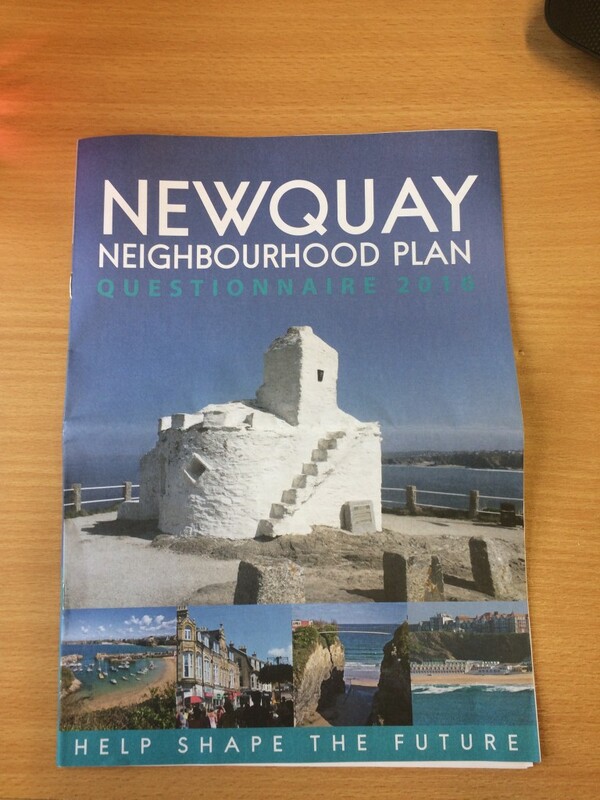 We have a website at www.Newquayplan.org where all our research, all our questionnaires, all our announcements re available. Do get in touch – We need you to contribute.